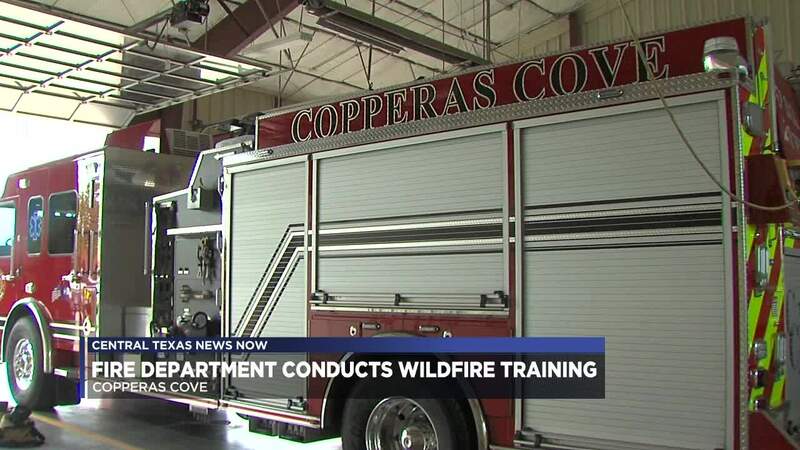 COPPERAS COVE, TX — The Copperas Cove Fire Department underwent a rare training experience on Friday. Twelve firefighters took part in a wild land fire training in order to maintain their wild fire certifications. Training like the one on Friday came in handy during situations like the Harmon Road fire that happened in Coryell County in July of 2018. "Wildfires spread quickly and can last a long period of time, the wildfire that we had on Harmon Road last year was an eight-day fire," Copperas Cove Deputy Fire Chief Gary Young said. "Being highly trained ahead of time is something that is very much a requirement for our individuals to stay safe and to be able to get that fire knocked out as quickly as they possibly can." The department used live fire and worked on creating a fire break to contain it, a practice they would use any time they are battling a wildfire. The department took several steps to make sure the city wasn't in danger during the training. Those precautions included choosing a site that had paved roads on every side, going through safety briefings and using a small amount of fire.